TTRC is made up of a team of racers from all around the world who focus on coming up with the latest and greatest thing. Every time we are at the track, we try to figure out, what would make our race day easier? We take those ideas back to the office and start designing. TTRC began as a group of soldiers and contractors deployed to Afghanistan where we built a track and came together as strangers to build strong bonds and relationships. Everybody overseas has their thing to keep them sane. To give their mind a break from what is going on all around them 24/7. For many of us, the RC hobby was our mental get away. When we all eventually got back state side, we wanted a way to stay connected and continue to be in the RC world. 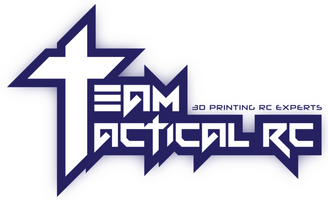 That is how Team Tactical RC was born.